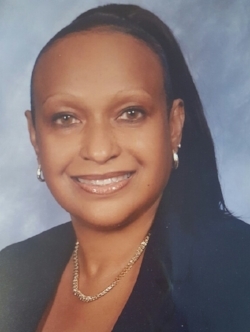 Following the resignation of Karon McFarlane, the Board approved the recommendation that Federica Jeffries be named the new Board Chair for Challenge Preparatory Charter School. Jeffries has been an integral part of the school since the beginning. She reflected, "Many years ago, Dr. Mullings confided to me his vision to open a charter school and provide gold standard education for Far Rockaway students. I was enthusiastic about the prospect and could think of no other person better suited for the task. I signed up immediately and offered my full support. Many hours were spent at meetings, poring over papers and writing." While her work sometimes required her to take breaks from serving Challenge Prep, in recent years Jeffries has been an active Board Member and readily accepted the position of Chair. "Ms. Jeffries has believed in our school from the start, and we are grateful to have such a stellar leader on our Board. I am happy to see her move into the role of Chair as we continue to grow and expand the school's vision," stated Dr. Mullings.